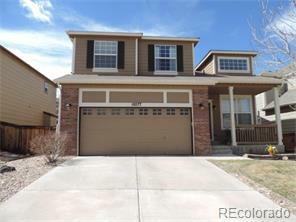 POPULAR RICHMOND 2-STORY WITH 4 BEDROOMS AND 3 BATHS IN IMMACULATE CONDTION LOCATED IN HAWK'S POINT. READY TO MOVE IN WITH BRAND NEW CARPET, LINOLEUM, TILE AND DESIGNER PAINT INSIDE AND OUT. NICE SIZED KITCHEN WITH ISLAND AND 42"MAPLE CABINETS. ALL APPLIANCES STAY. MASTER BEDROOM HAS 5-PIECE BATH AND WALK-IN CLOSET. NEWER HIGH EFFICIENCY FURNACE/AC AND 50-GALLON HOT WATER TANK. BURGLAR ALARM. OVERSIZED YARD WITH A LOVELY, FRESHLY PAINTED DECK. CLOSE TO ARROWWOOD ELEMENTARY VIA EASEMENT WALKWAY.